It’s time for Woolly Weekend again at the beautiful Kelly House! Hopefully Storm Callum won’t interrupt the event as I’ll be travelling there early tomorrow morning with Gorgeous Yarns. I have a fantastic selection of handdyed Perran Yarns packed, including lace & 4ply versions of the luxurious silk/baby camel yarn. There will also be favourites such as our 4ply merino/tencel and the unusual pure banana yarn, with patterns to make the most of them. 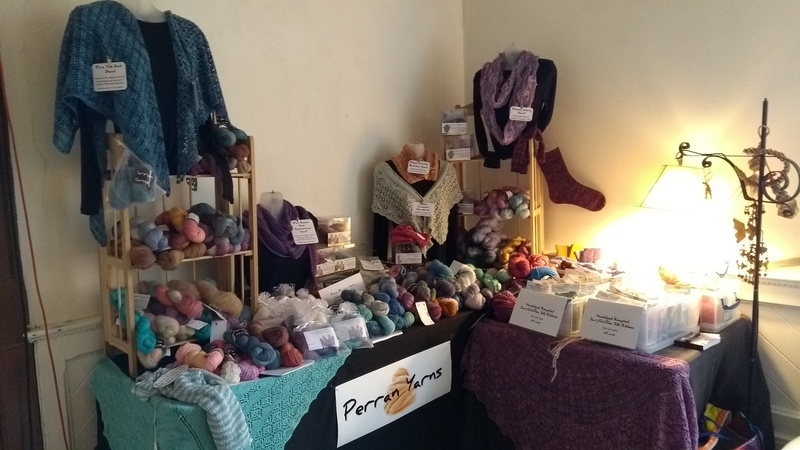 Come along and browse the wonderful selection of woolly stalls throughout the house, and sample the delicious homemade cakes in the Tea Room. See you there! ← October = Wool Show Month!